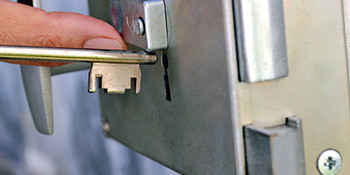 Locks provide security to your most expensive possessions, ensuring your home, car and even garage can’t be broken into. They keep you safe in the knowledge that your property is secure and put your mind at ease. But of course, occasionally we all forget something and leaving the house keys inside and closing the door behind you isn’t a rarity. If this happens to you, there’s a much cheaper way to solve the problem rather than breaking a window to gain access to your home. On top of this, locksmiths can fit locks to any room in your house, be the bathroom or even bedroom. Find out how little it would cost to have a professional lock fitted in your property. Locksmiths don’t just break into locks, but they also create the mechanism in the first place. They’re the ultimate experts in this field. If you’re in need of a locksmith you’ve come to the right place and can receive up to four FREE locksmith quotes within minutes. Complete our quick form and we’ll provide you with quotes from up to four local, vetted and reputable locksmiths. Project: I’m locked out of my room and my key is broken in halves. Project: Front door, back door & garage locks to be changed on the 13 the April. Project: I have three keys for my door however none of them are unlocking my door. I cannot get out of my upstairs flat. Project: Reposseion order issued last mi day 25th March ordering Poseidon after 7 days. Today, I can get my flat back. Need to gain entry to the front door of the flat. I have a security key for the block. After linking the porch door as I always do, I came back home and unlocked the door, but for some reason the lock wouldn’t allow the key to come out, Panic set in as I had to leave the house continually all day long, I went on Google and contacted Quotatis, with in minutes I had a phone call asking the problem, I explained the problem he then sent me a quote which I excepted, he was at my house within 40 minutes from Warrington, it took him no longer than 20 minutes to solve the problem, he explained at all stages what he was doing, I found the locksmith to be pleasant and good at his job. My locks were changed 20 minuets after filling in Quotatis questions on what I wanted. Fantastic website. Homes are given an energy rating depending on how efficient they are and ratings are displayed in the data below. This varies from A, the most energy efficient, to G, the least efficient. With a higher rating you're more likely to have cheaper energy bills as more heat will probably be kept in your house. You'll be able to increase your home's efficiency with insulation including double glazing, loft lagging or wall cavity insulation. The data below reveals the several types of houses within Uk. By far the most commonplace houses all around the UK are detached and semi-detached households. Other types of homes consist of terraced houses, flats, converted flats and bungalows. The pie chart beneath illustrates the percentage of homes in Uk that are central heated and non-central heated. Central heating figures within the the vast majority of UK properties, such as those on the gas grid and houses heated by oil and electric. The information underneath reveals the spread of households heated by various fuels. Throughout the United Kingdom the most common hands down are gas heated homes, followed by electricity and then oil. Biomass central heating boilers are also rising in popularity, heated by environment friendly products including wood pellets or agricultural waste.|Houses in the UK are heated by a number of fuels, such as gas, electricity, oil, solid fuel and LPG boilers. Each fuel has a varying cost associated with it so you may find yourself with less expensive energy bills by changing how your household is heated. Even solar thermal panels are being regarded as by many as a way to reduce heating bills for the years to come.